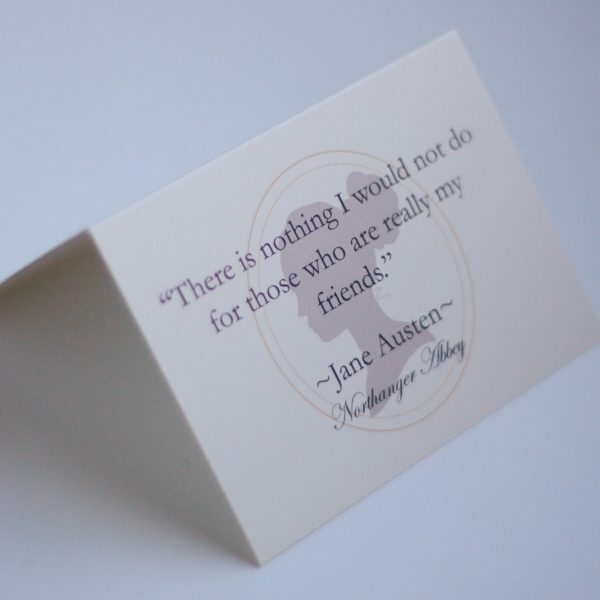 You cannot add "Mary Bennet" to the cart because the product is out of stock. Filled with our Christmas and seasonal winter items, the treasures in this box are truly unique and perfect for that special gift! 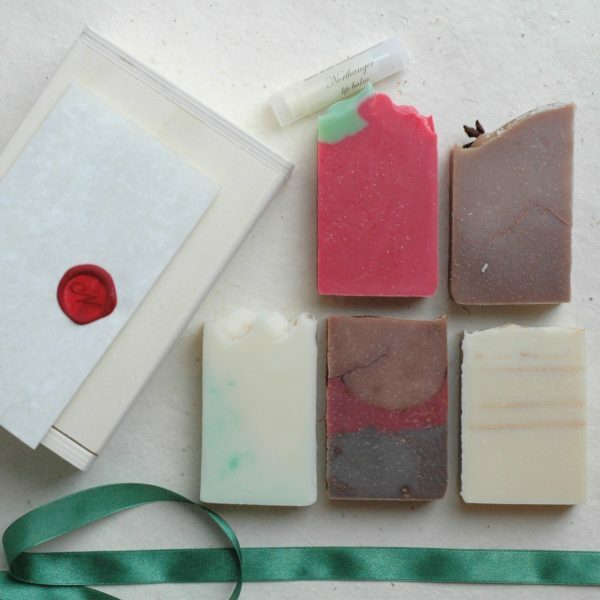 Comes with five bar soaps and one lip balm in a lovely wooden box with a wax sealed letter from the shop. 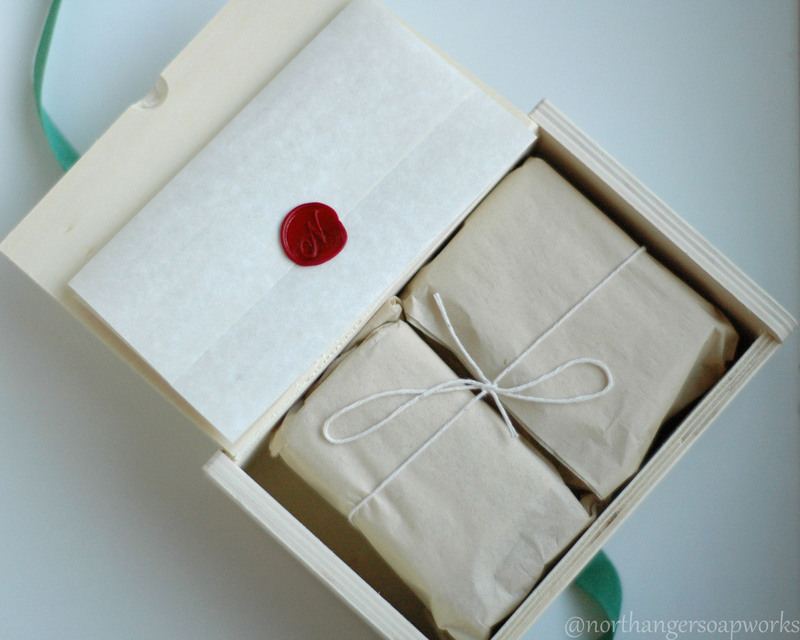 You may optionally include a gift message at checkout and it will be handwritten on our custom cards to be included with your box. 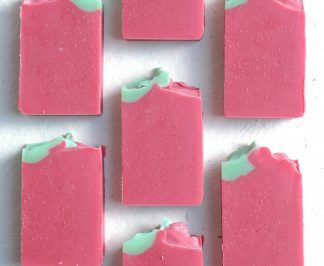 This Christmas soap is scented with hot cocoa and peppermint. It is the perfect Christmas drink, and you need not be concerned about overindulgence as this is Mr. Woodhouse approved. "He had, therefore, earnestly tried to dissuade them from having any wedding cake at all, and when that proved vain, as earnestly tried to prevent any body’s eating it. He had been at the pains of consulting Mr. Perry, the apothecary, on the subject." ~Mr. Woodhouse, of Emma, by Jane Austen. Mr. Woodhouse would like us to believe he eats nothing but “thin gruel.” But what if he had a secret delight? A taste for hot chocolate that began as a sip at Christmas and turned into a daily indulgence? For though he could not abide the richness of cake, there is no mention of other desserts in Emma. Perhaps Ms. Austen did not want us to know that, in fact, Mr. Woodhouse had a weakness: hot cocoa with peppermint. So easily hidden in his cup, there was no need for anyone to know what he was drinking. He is certain there is no peril to be had with such an innocent indulgence. Did he have it in the morning, whilst still abed? Or did he drink it near the fire, in his favorite chair? I suppose we will never know. 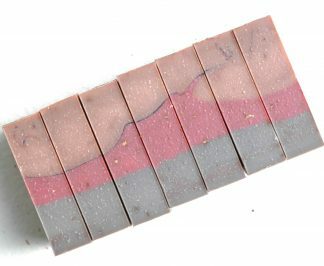 This chocolatey soap smells so yummy that you might need a cup of hot cocoa right after your bath! 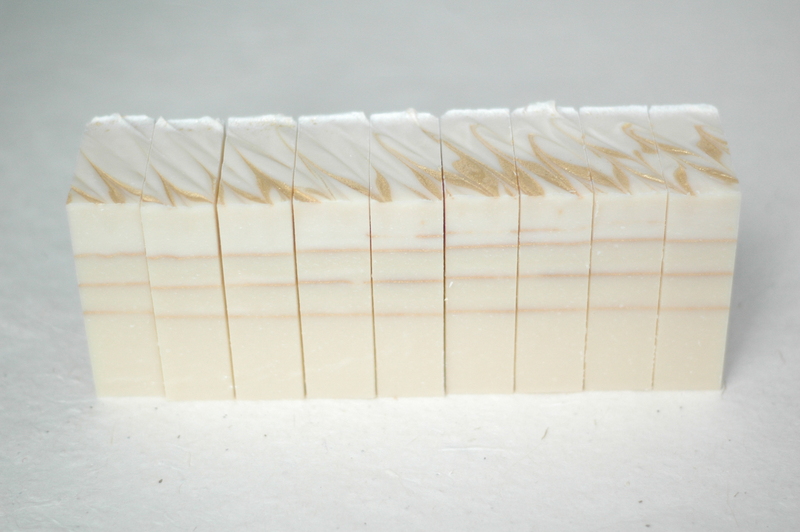 Luxurious clay gives a silky feel to this festively scented soap and the elegant gold paper lines and swirl atop are the perfect indulgent touch for a special time of year. 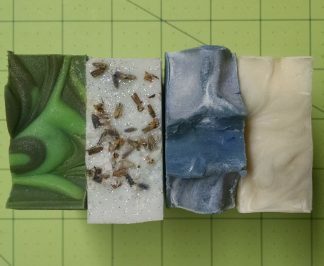 Scented with fig, apple, and forest wood. “On one side was a table occupied by some chattering girls, cutting up silk and gold paper; and on the other were tressels and trays, bending under the weight of brawn and cold pies, where riotous boys were holding high revel; the whole completed by a roaring Christmas fire.”~ Persuasion, by Jane Austen. This cozy passage of Christmas at Uppercross is so delightful we wish ourselves a seat at their table. 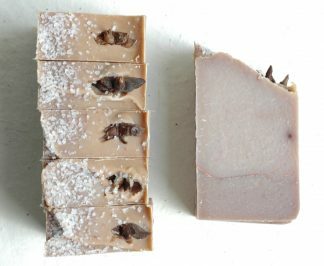 A snowy hill, a coppery fire, a spiced drink, and a pumpkin cookie are the wintery comforts this artisan bar depicts. A warm bath is waiting for you. 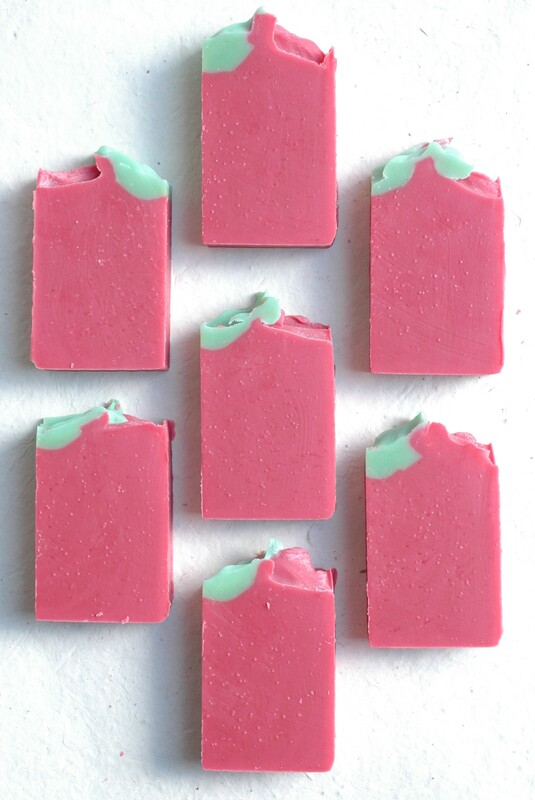 Scented with warming spices and pumpkin. This simple line from Mansfield Park is just how the perfect winter should be. The warmth of spices and pumpkin treats are essential comforts during the cold winter months--so much so that one cannot do without them. This handmade artisan soap bar is inspired by these words Ms. Austen penned over 200 years ago. Fancy yourself ill? 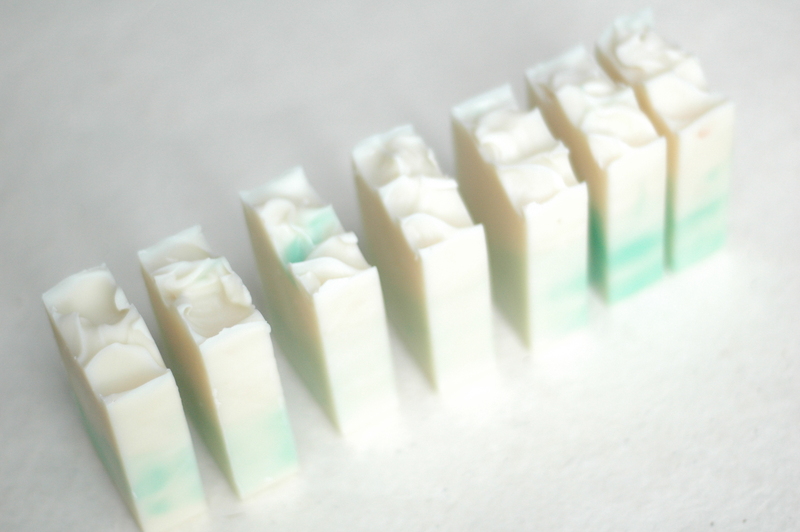 This herbal peppermint and eucalyptus soap is wonderful for a cold during a nice steamy shower. A lovely wintery scent to be enjoyed by anyone! Mary Musgrove, Anne Elliot’s sister, frequently plays the part of an invalid and hopes for solicitous attention from all. 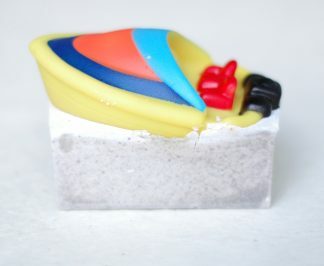 This soap is inspired by this delightful bit of comedy. Anne “cures” Mary after she comes to visit, but an herbal restorative might have done just as well! “I am so ill I can hardly speak. I have not seen a creature the whole morning!”~ Mary Musgrove of Persuasion, by Jane Austen. Whether apple picking, baking, or eating, there is nothing like a good apple. 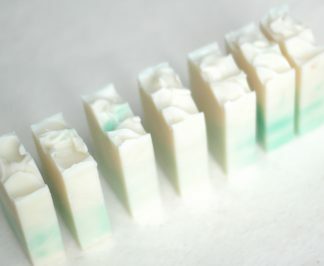 Enjoy the apple and sage fragrance of a Donwell Abbey apple every day with this inspired artisan soap bar. Mr. Knightley is generosity itself, giving the rest of his apple crop to the Bates family. A more gentlemanly man there never was! As for the apples, they smell as good as they taste. Like Jane Bennet, sometimes you have to whether the storm. Her kind heart and spirit could use a boost wouldn't you say? 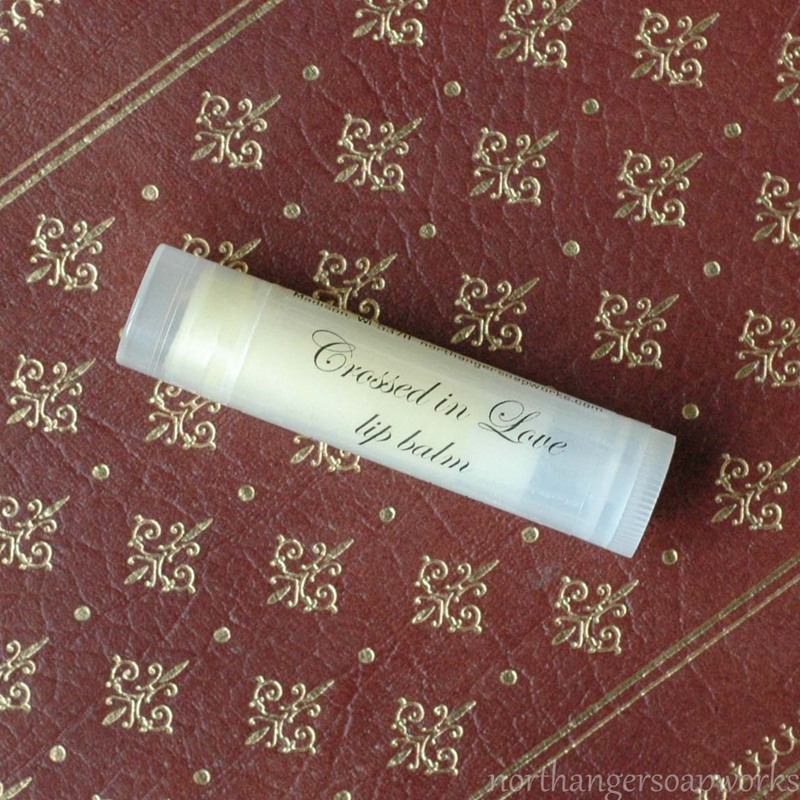 This lip balm is the perfect balm to lift a downcast heart. 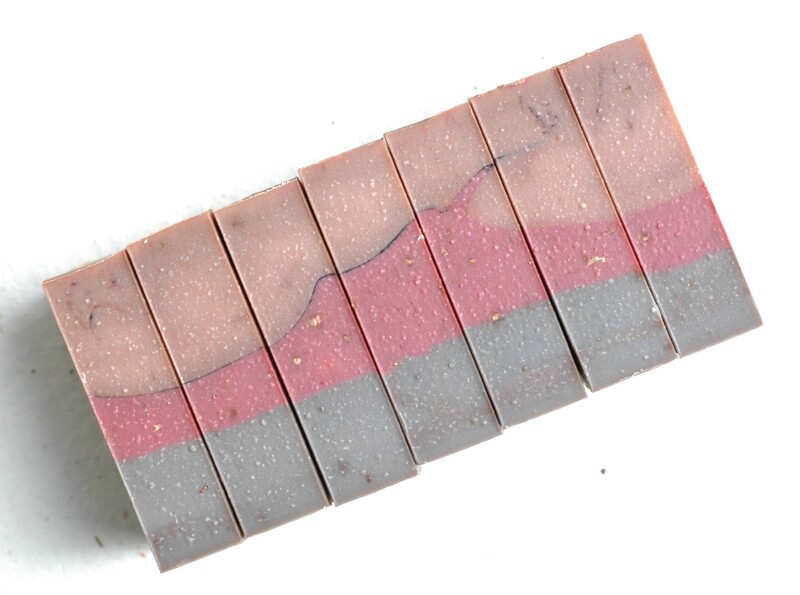 With cheering lemongrass and delicious chocolate, it is sure to lift your mood in no time! 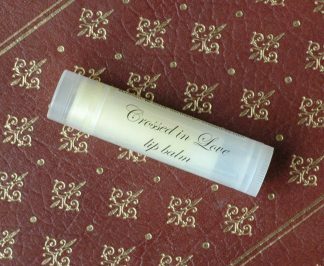 Crossed in Love lip balm is all natural and handmade, inspired from Jane Bennet of Pride and Prejudice. 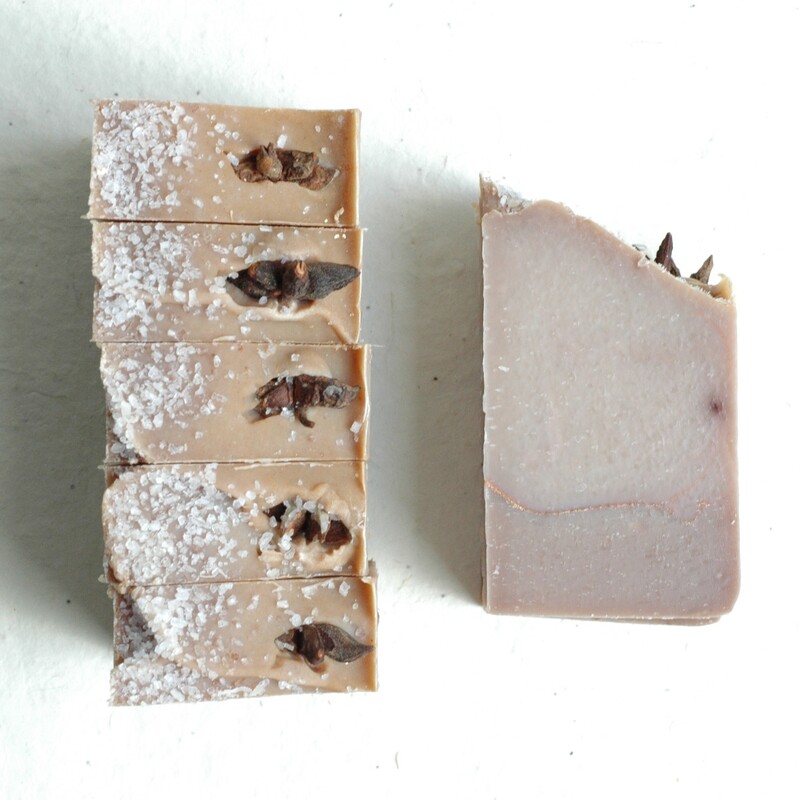 Made with lemongrass essential oil and fragrant raw cocoa butter, this is a delicious combo you won't want to miss. It is lightly scented. "Your sister is crossed in love, I find. I congratulate her. Next to being married, a girl likes to be crossed a little in love now and then." ~Mr. Bennet of Jane Austen's Pride and Prejudice, regarding his daughter Jane. **Looking for more Jane products? 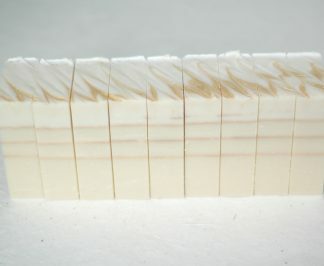 Gracechurch Street bar soap is inspired by her too and has the same lemongrass scent. I received this as a Christmas present from my daughter. I was so excited when I opened it. The packaging was splendid. 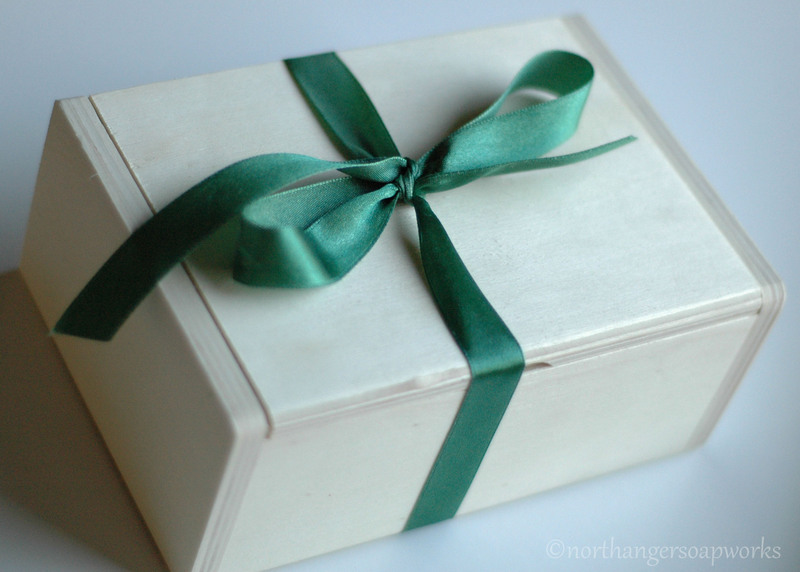 From the wooden box, to the tissue paper to the wrappers. So much thought and care went into this. 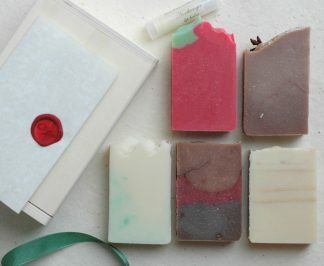 Everything smelled lovely and it was hard to choose which soap to use first. I decided on Silk and Gold Paper but I am looking forward to Mr. Woodhouse’s Christmas Cocoa. They all smell so good. The quotes on each soap make me so happy.